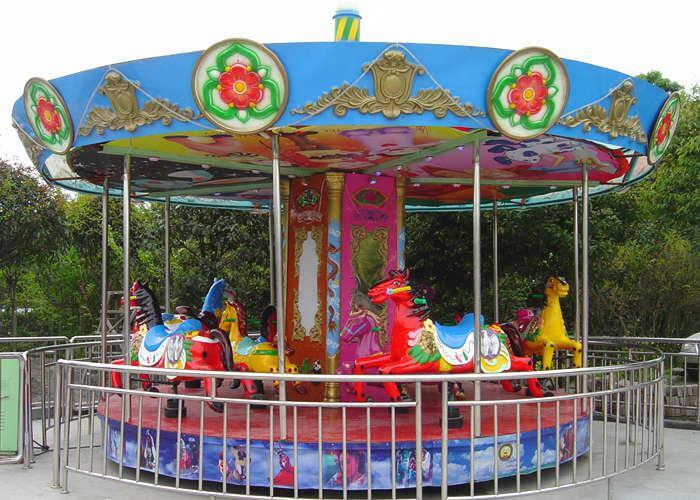 Mini carousel, also referred to as mini merry go round, is a kind of popular mall rides for sale decorated with bright colors and deluxe modelings. 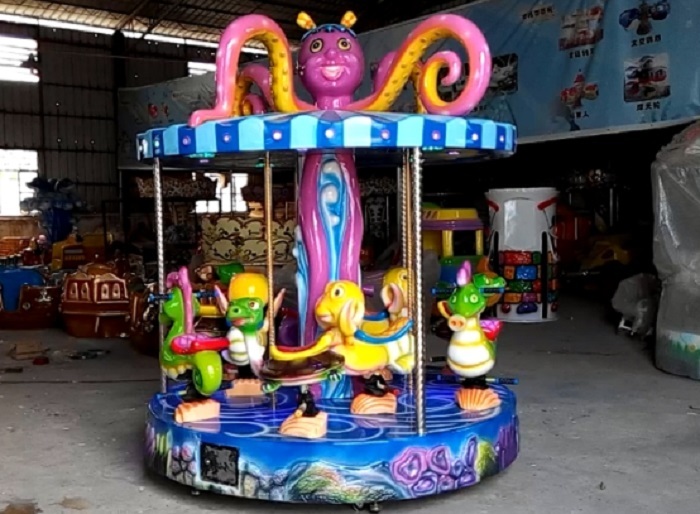 As an advanced and experienced amusement park rides supplier, Beston has produced the cute mini carousel for many years, including 3 seats/4 seats/6 seats/8 seats/9 seats. Firstly, let’s talk about 3 seats mini merry go round. 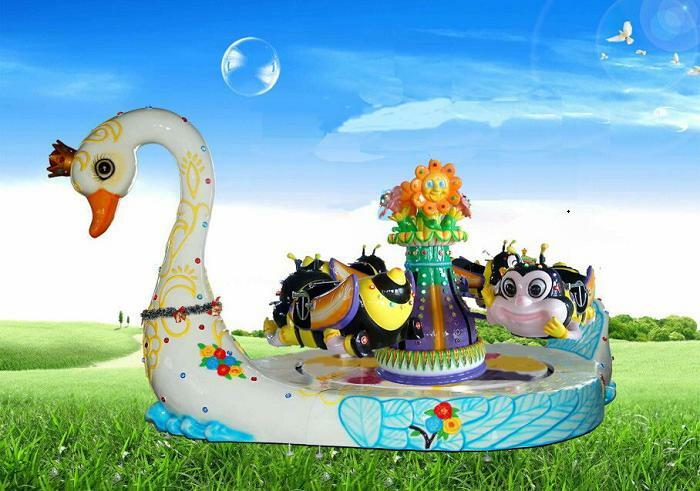 To begin with, it is a kind of very small merry go round, specially customized for little kids above 3 years old. 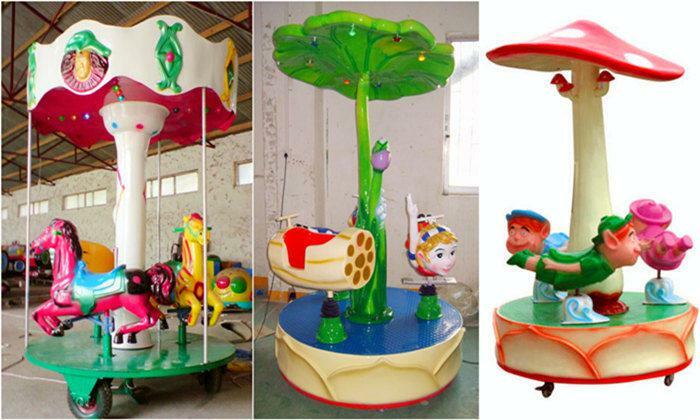 This merry go round playground equipment adopts cartoon and attractive styles, particularly loved by little kids. 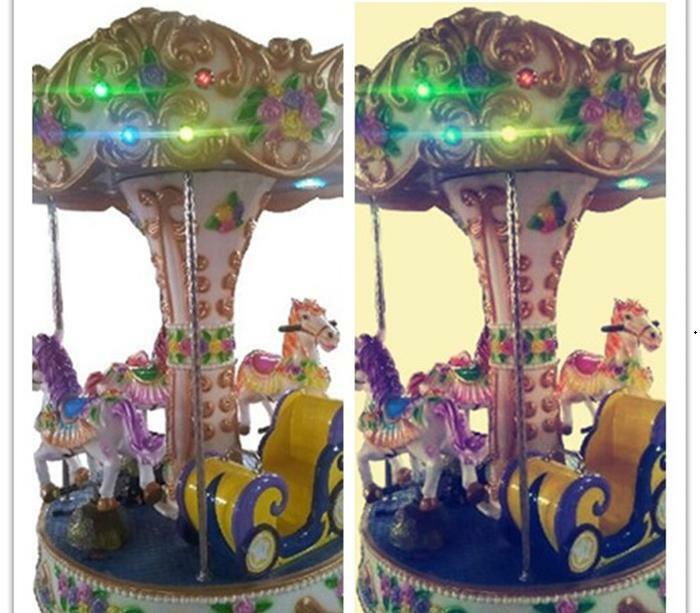 Secondly, this type of carousel has an unique feature. One more thing, mini carousel for sale has a mini carriage for little baby to sit in addition to another two merry go round horses. At present, little kids are taken fully into consideration in this design. 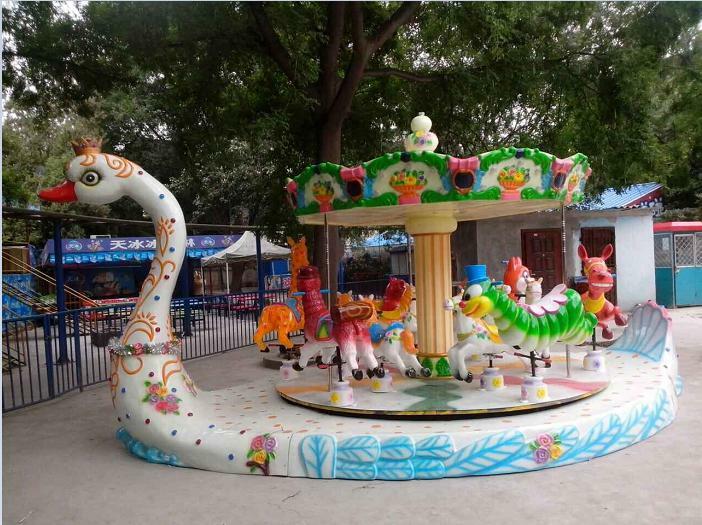 The design allows little kids to safely and comfortably ride along on a carousel with elder brother and sister, and enjoy cheerfulness at ignorant age. 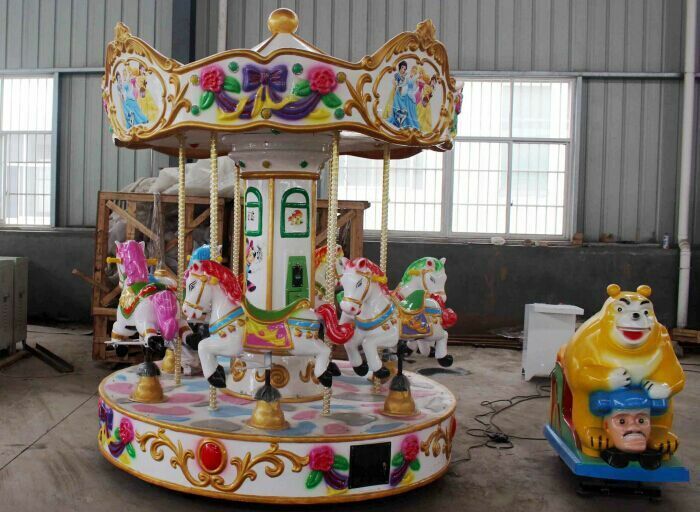 With this kind of mini merry go round for sale, the mommies will not be afraid of kids playing amusement ride. 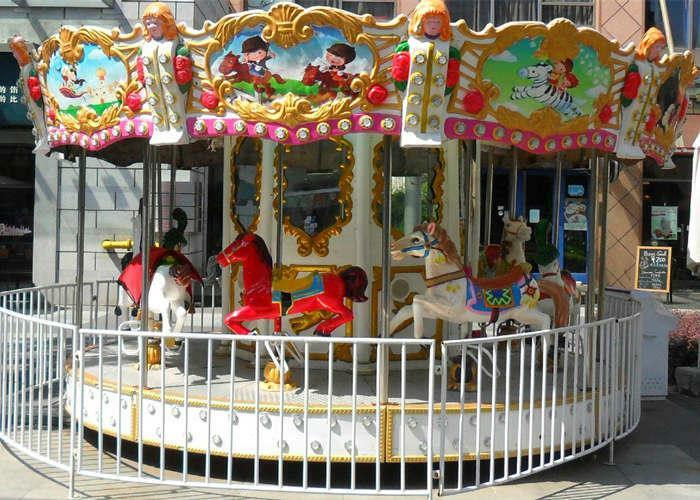 Therefore, mini carousel ride is deeply preferred by little kids and mommies. 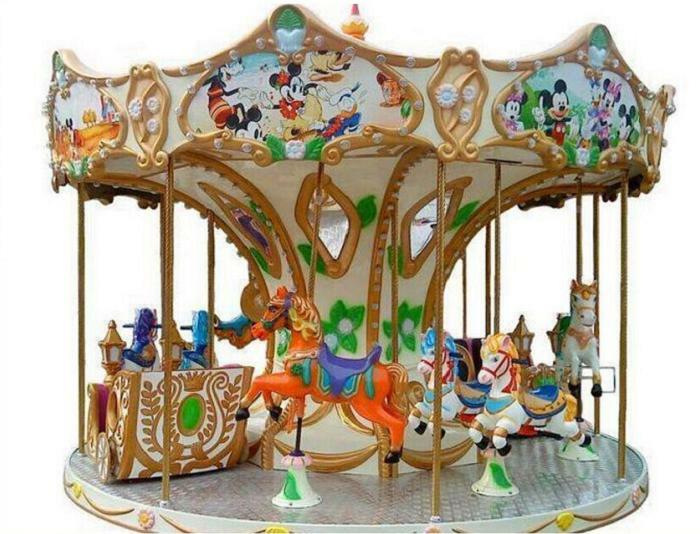 Also, if you want carousel rides with more seats, you can select our mini kiddie carousel with 4 seats/6 seats. 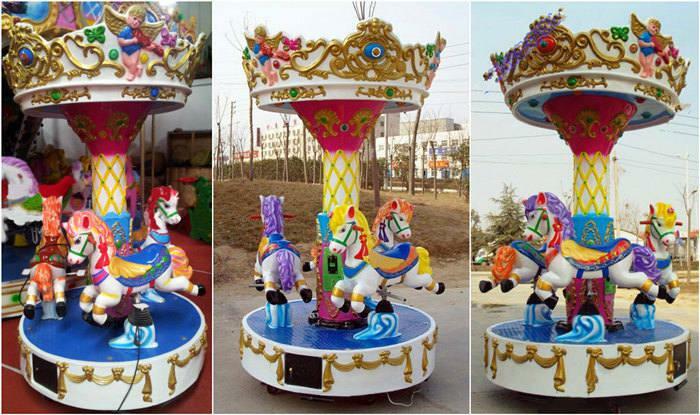 Mini carousel game ride only covers a small area, movable and convenient. It can be placed in kindergarten, public garden, shopping mall, and gaming center. 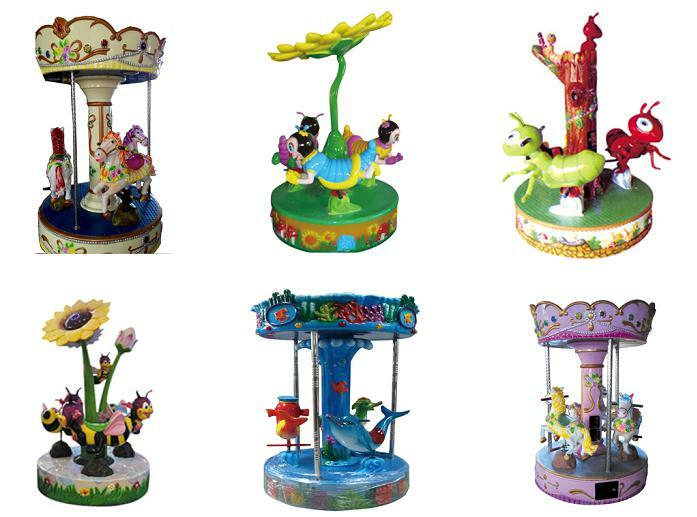 Its price is lower than ordinary carousel due to its low cost. If your space is limited or your budgeting is less, you can choose the profitable mini carousel to operate. It is usually coin operated, and easy to operate. Thus, the low-cost mini backyard carousel is greatly affected by families. 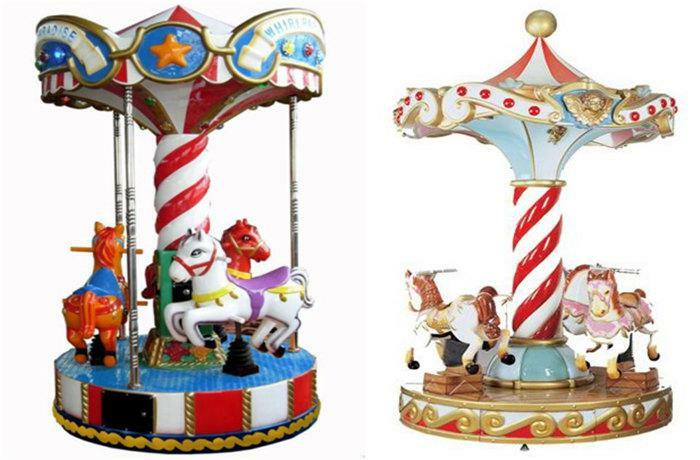 We design mini carousel animal seats according to interests and feels of kids. So it usually has charming and fascinating appearance, vivid color and funny music. The product brings to children not only happiness but also health and wisdom. All our products are strictly inspected according to safety standards to make sure all parts of them are harmless to kids. All fiberglass parts use good material and fireproofing. All steel materials have QC and material content certificate. In addition, all the metal parts are smooth and the plastic parts are no toxic, anti ultraviolet property, conforming to the standard of FOOD class. 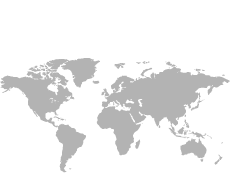 We will offer you the most competitive price. You will next enjoy more experienced designs, faster delivery, professional installation instructions and much better service. 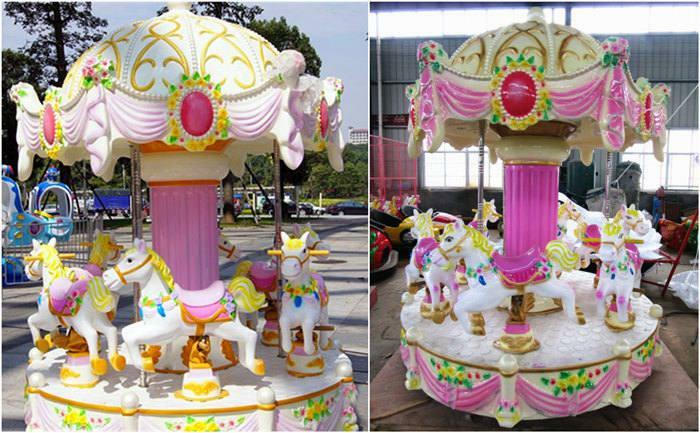 We assure that the mini carousel horse will keep in very good condition after long time use or even in the harsh climatic conditions. All parts will keep high durability between -50°C~50°C.